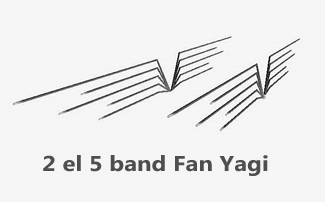 The 2-element Fan Yagi Antenna is the first multi-band antenna that was deployed on HamSphere 4.0. Ever since the then, this antenna has provided countless hours of fun and DX for many operators. Some operators swear by the performance of this antenna and refuse to give it away. This is actually a 10 element physical design covering 5 bands, where 2 elements act as primary performing elements on each band. However, on each band a couple of other elements make secondary contribution toward shaping of radiation pattern. 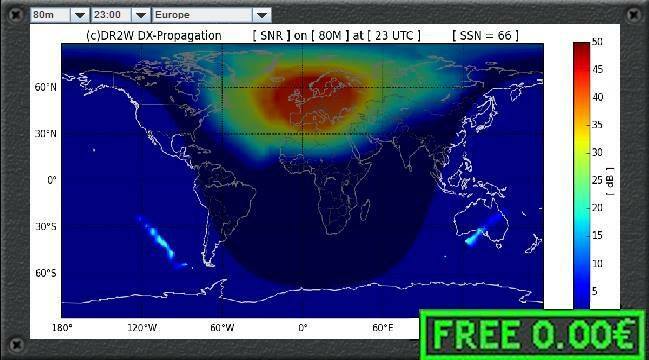 Hence, although the 2-element Fan Yagi may be slightly inferior to a typical 3-element Yagi, its performance is far superior to a normal 2-element Yagi. While designing the 2-element Fan Yagi we made a conscious decision to avoid any architecture which would involve lossy components like traps, loading-coils, etc. Our objective was to roll out a 5-band antenna with excellent radiation efficiency, forward gain and also to tailor the radiation pattern to provide good low angle performance to enhance its DX capability. All these objectives have been fairly well achieved in this design. Front/Back ratio was another factor that we deliberately tweaked to make it lower than normal. 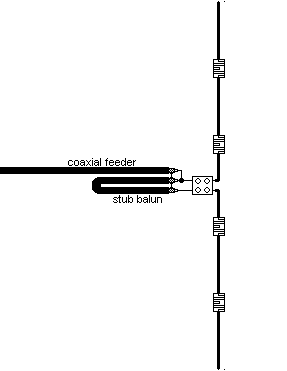 This was done to enable operators to have a reasonable workability on the back side of the beam also. 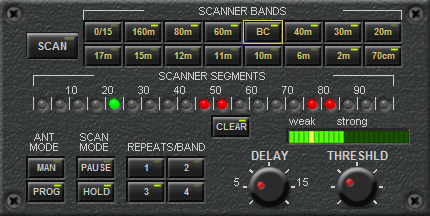 Due to relatively lower band congestion on HamSphere 4.0 with low probability of rear-side co-channel interference, we could relax the F/B ratio. The advantage gained by this approach was to enable better working capabilities using this antenna without needing to swing it around too often. The 2-elemnet Fan Yagi provides a typical gain in the range of approximately 13.5dBi with an azimuth beamwidth of +/-50 degrees (-6dB).